When choosing a university, students are typically drawn to fundamental aspects such as location, course structure and campus atmosphere. These elements are indeed crucial, and a core aspect of creating first impressions – but, should we also be considering how we showcase ‘routine’ aspects of campus life, such as food and beverage provision? 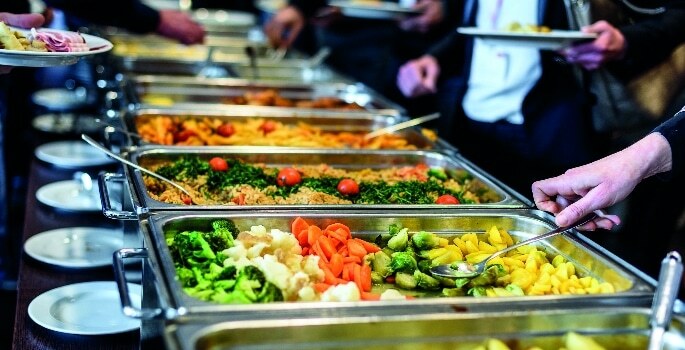 Whilst food provisions may seem inconsequential in comparison to the course structure, which in terms of influence it certainly is, we should be cognisant of the fact that food delivers more than just fuel to our students. Food forms fundamental parts of our mornings, noons and nights – food offers opportunities to connect, collaborate and share. Food enables us to build memories, share experiences and deliver key messages. Therefore, food might not be a deciding factor for students when choosing a university – but it may make a positive lasting impression. In past issues of University Business, we have touched upon the importance of a wholefood in weight management, optimal student experiences and positive mental health outcomes. We also know that global food trends continue to show a rise in popularity but, is there a social influence for students relating to food and beverage provision? For example, research has found that when deprived of familiar or ‘comfort’ food and beverage, students relate feelings of depression, homesickness, identity loss, hunger and difficulties with weight management. If students are aware that they can still indulge in home comforts and familiar feasts, they may well feel more confident. Furthermore, research has also described students experiencing food insecurity, which can be defined as: “a temporary or ongoing inability to access healthy and preferable foods that allow one to live a functional life”. Because of this, students may be influenced by a university which they know provides healthy foods, as they would feel more comfortable that they could still live a healthy life. With young people often affected by the worry of problems such as weight gain and looking a certain way, this would help them have one less worry while carrying out their studies. So, whilst it may not be a focus – it should be a thought. Food and beverage has reaches far beyond energy production, and if we showcase its social, physical and mental applications in a way that resonates with students – we may enhance our recruitment potential, or at the very least send a positive message of health and wellbeing.